In the month that's all about gratitude and giving thanks, we wanted to remind you all of how grateful we are for your presence and your enthusiasm about our products. To all you planners, crafters, and creatives - near and far - thank you for being an integral part of this amazing community and as a token of our appreciation, we've made available the following 'Today I am grateful for...' free printables for you to print out, punch, and include in your CLASSIC or BIG Happy Planner™ for the rest of this month. To all you planners, crafters, and creative - near and far - thank you for being an integral part of this amazing community. Have fun, plan a happy life™, and tag us on Instagram @meandmybigideas + @the_happy_planner to show us your list! #TheHappyPlannerIGchallenge is BACK for its 3rd run! Hello, Happy Planners™! 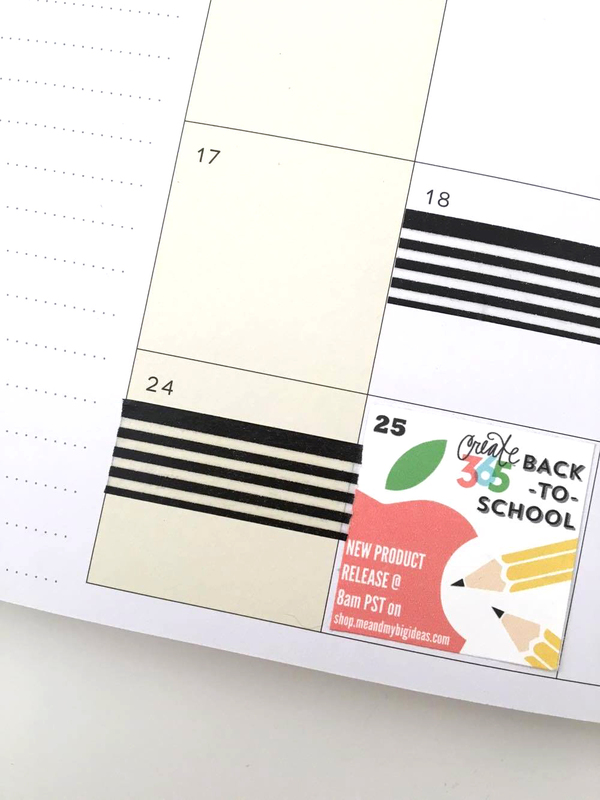 We are so excited to announce that #TheHappyPlannerIGchallenge is back for its 3rd run the whole month of June, and it starts up again tomorrow! HOW IT WORKS: Each number on the list represents that day in June, so for '14. 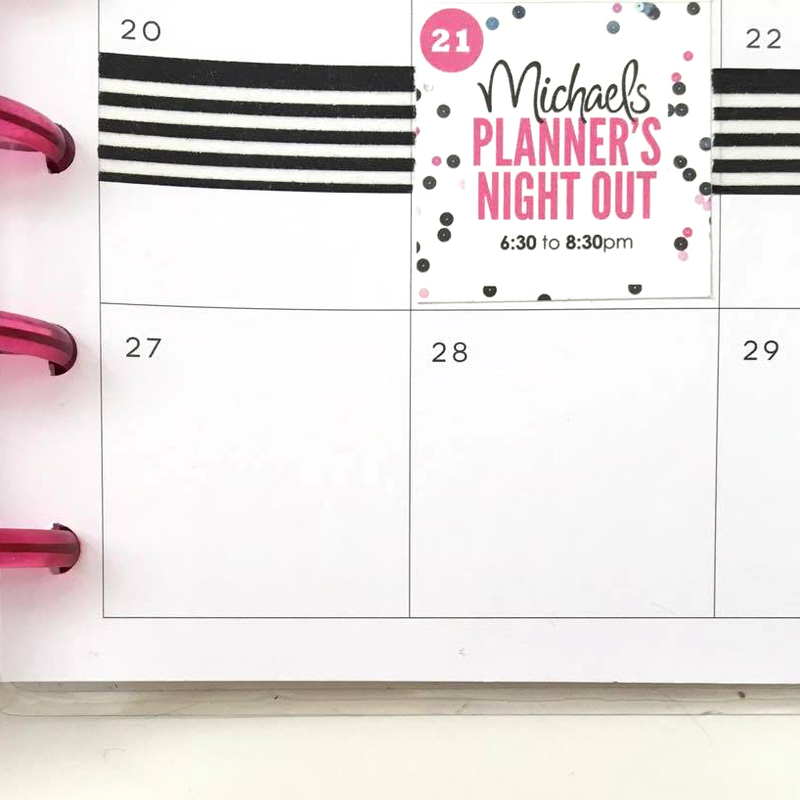 list', you'd photograph a list in your Happy Planner™ on June 14th, upload it to Instagram, and hashtag it #TheHappyPlannerIGchallenge! It's that simple! Then other Happy Planners™ can like and comment! At the end of the day, a few participants are highlighted on @the_happy_planner IG feed. Also on the free printable page are some upcoming June dates that all us happy planners can celebrate together. These graphics are 1.5 x 1.5" and will fit perfectly in your monthly boxes and weekly columns. 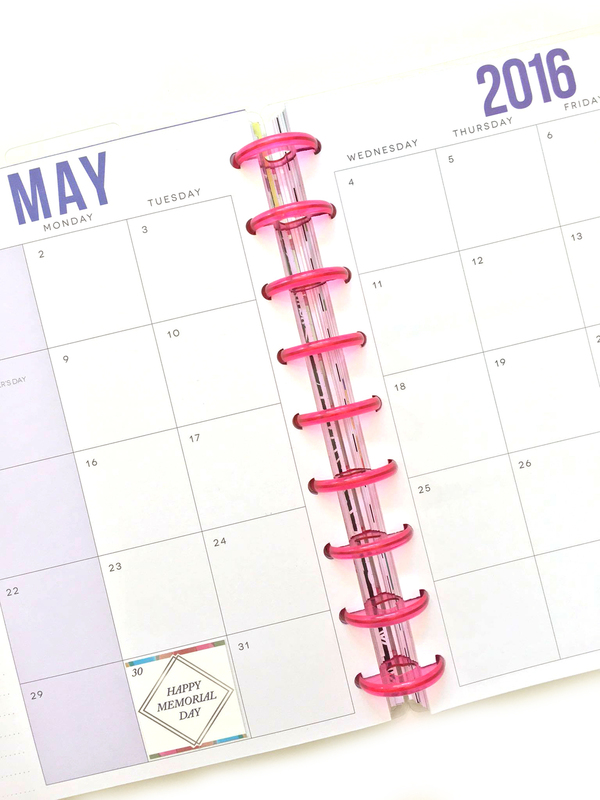 FREE Happy Planner™ PRINTABLES for May !!! TGIF, everybody! This weekend the calendar turns from April to May, and we've made available this free printable page of upcoming dates that will fit in your monthly boxes and weekly columns. May 8 - Mother's Day! May 30 - Memorial Day! 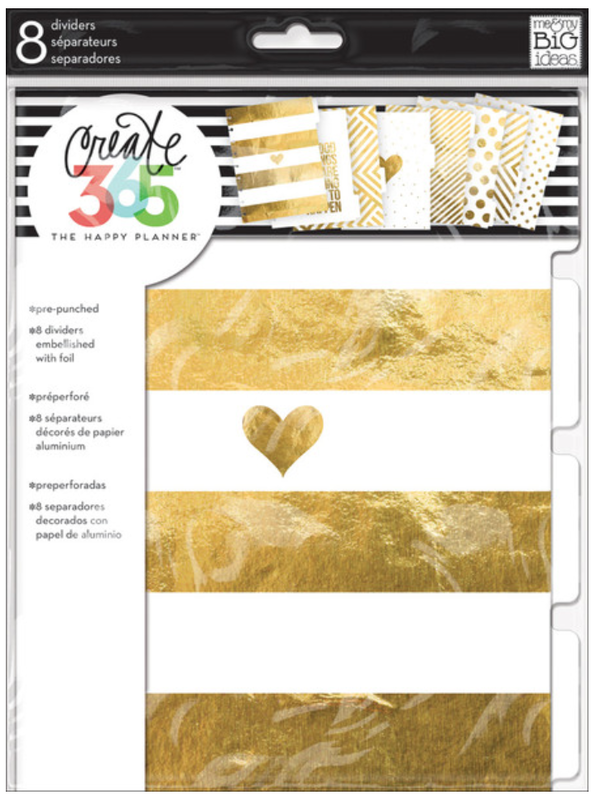 Also, added to the printables was May 27 - #TheHappyPlannerSPOTTED. With this hashtag, we want to know where you and your Happy Planner are off to! Planning at the pool? On the road with your Happy Planner™ storage case in tow? We want to see it! Use the hashtag on a photo of your Happy Planner™ 'on location'. Tell us where you are and what you have planned, and we will regram our favorites to @the_happyPlanner Instagram account. What's better than the perfect weekend paper craft project that will result in a fun and functional DIY you could use all year long? ..and who better to show you how to do it than mambi Design Team member Janna Wilson? Janna has provided free 2016 calendar card printables to complete this flip desk calendar craft, along with steps she took to create it. "I really can't have enough calendars - especially if they are pretty and inspiring! I find myself always in need of a month-at-a-glance calendar on my desk. One that shows just the month/days/dates to help in planning ahead and something easy to flip to later months to check dates too. "I created this design inspired by something by Mara Mi I saw years ago - and I've been wanting to do a DIY version ever since! 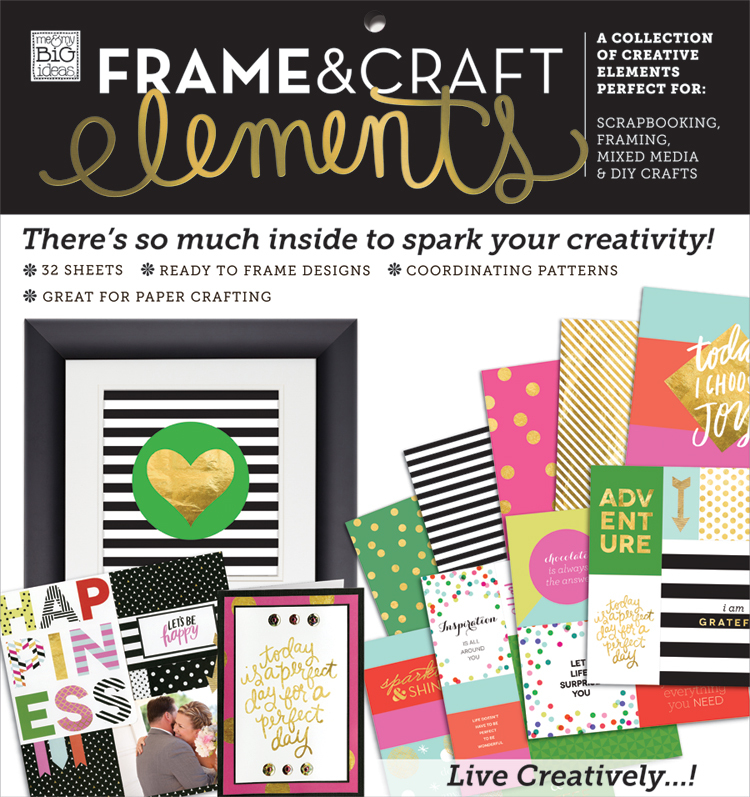 The me & my BIG ideas Frame & Craft Elements pad was perfect to create a coordinating, neutral palette to which of course I added some fun pops of color! 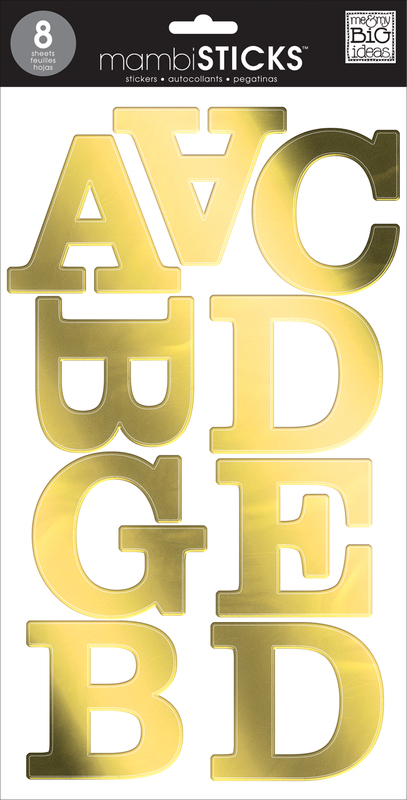 The giant numeral mambiSTICKS in gold foil were the icing on top! With my free printable calendar cards, this project is a cinch!" Print the 4 pages of printable calendars and cut to size using the trim marks on the pages. Finished size should be 3.5" x 5.5." Add the number stickers to each month and punch holes 1/4" from top and 5/8" from each side. NOTE: There will not be enough 1's to do all of the months, I used an I and trimmed/subbed it into a 1. Works fine. 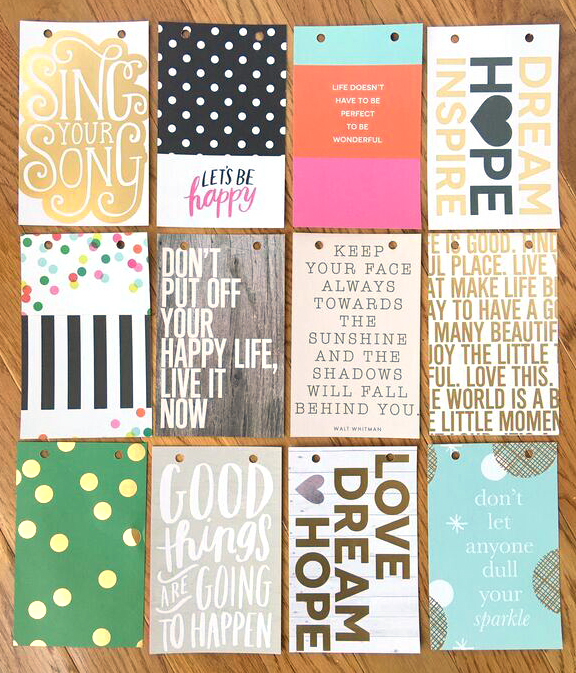 Cut 12 designs from the me and my BIG ideas™ Frame and Craft Elements pad and cut to size - also 3.5" x 5.5." You could also use photos cropped down or add photos to these to create a personal photo treasure. Punch holes same as on the month cards. Assemble the stand by scoring and folding 6.25" from short end, then 8" from short end, then 9.75" from short end. Fold to create the stand as shown in images. Add patterned paper to cover the outside 7.5" in width. You will need to splice it together to cover the entire piece. I recommend a glue stick for adding paper to chipboards. Use the punched cards as a guide to punch holes in the stand and bind the cards to the stand with the loose leaf rings. Add a fun tag or sticker for some color. Below you can see the finished product in action on Janna's computer desk. 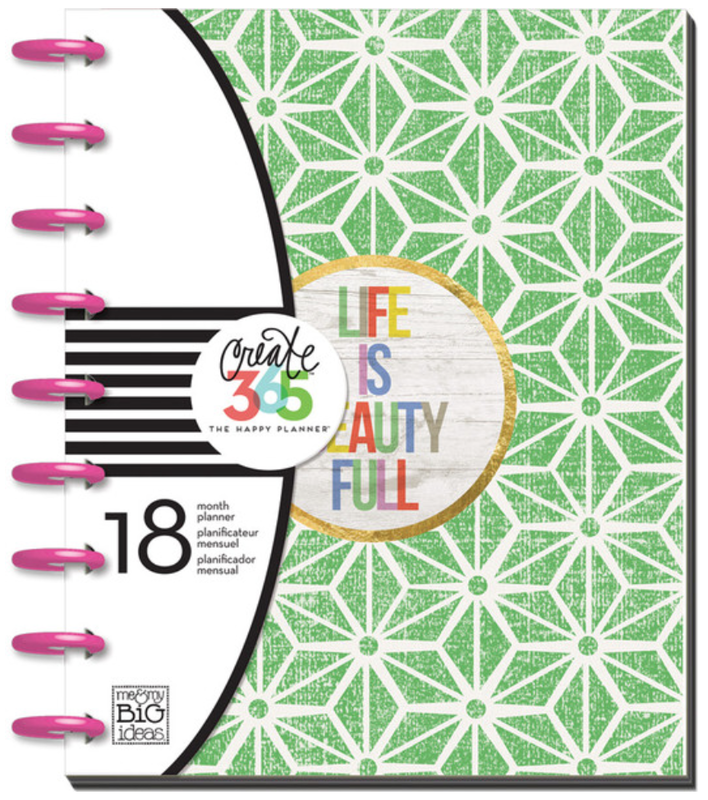 This flip calendar along with her Happy Planner™ must make this Janna's spot to plan it all out and get things done! 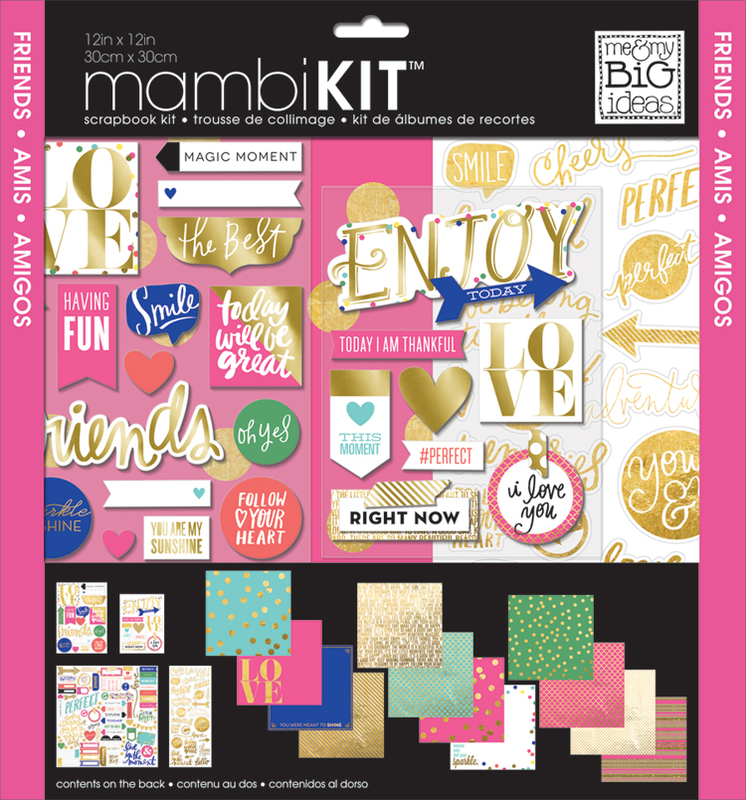 Shop mambi supplies Janna used by clicking on the items below. Hello, Happy Planners™! 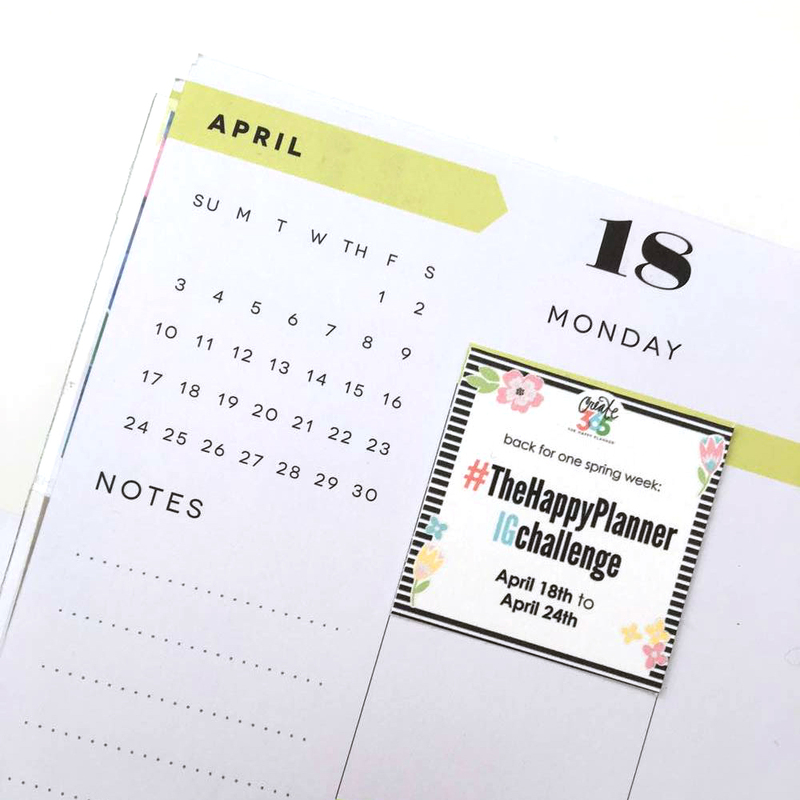 By now you might have seen #TheHappyPlannerIGchallenge that mambi owner Stephanie Fleming spilled the beans about yesterday on her Instagram feed. We are so excited to kick it off February 1st! BONUS!!! We've created a free printable page so that you can include the list right into your Happy Planner™ (see image below) and cross them off as you go! Watch the following video showing you how to cut, glue, place, and punch #TheHappyPlannerIGchallenge free download into your Happy Planner™ after you've printed it out. 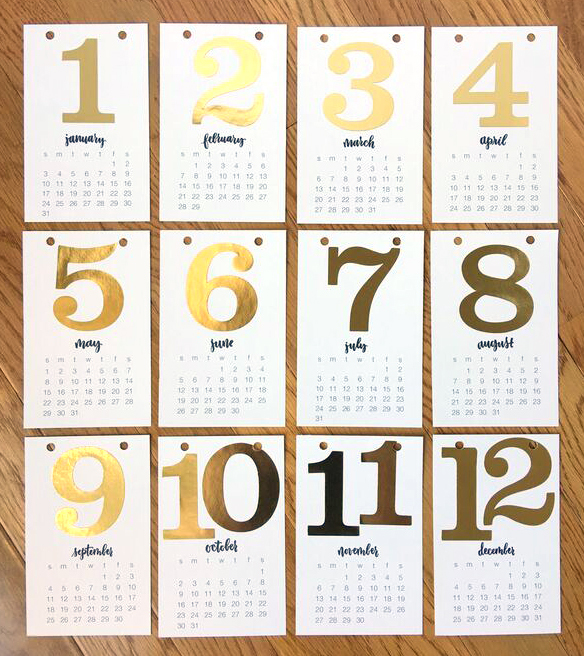 Thanks to mambi Design Team member Janna Wilson, we're able to share this free 2016 'year at a glance' printable calendar for The Happy Planner™ that you could easily download and print yourself. 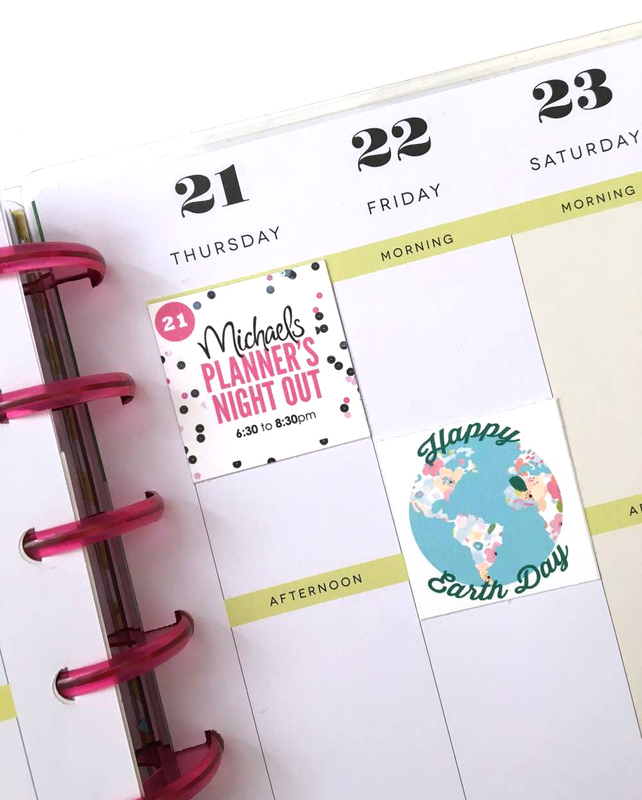 "I sat down to get organized this last week and started putting together a few weeks in my Happy Planner™ and found that I kept searching for dates to see when they fell on the calendar. Also, I need a full year's reference for my blank calendar sheets. I thought I'd create a quick printable calendar to share. I just printed the file from the link on my website and trimmed out just inside the lines. 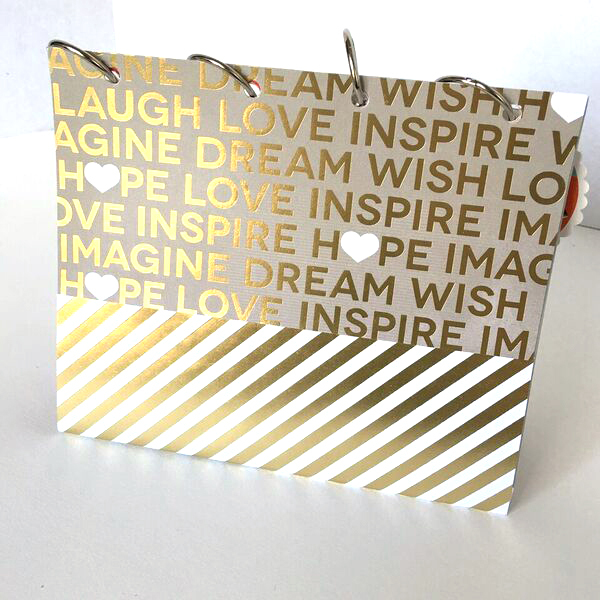 I added it to the back side of one of my gold foil divider pages, and made it available in color or black & white." Head to Janna's blog to print your own. 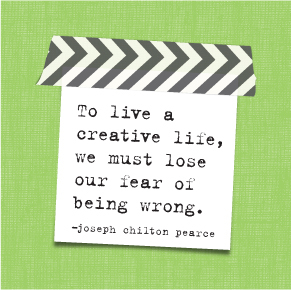 For more free printables, head to our Free Printables Gallery Page. 'Tis the season for giving, and giving thanks! We are so thankful for all of you enthusiastic and loyal customers, and as a token of our appreciation we have made available another set of free printable pages! 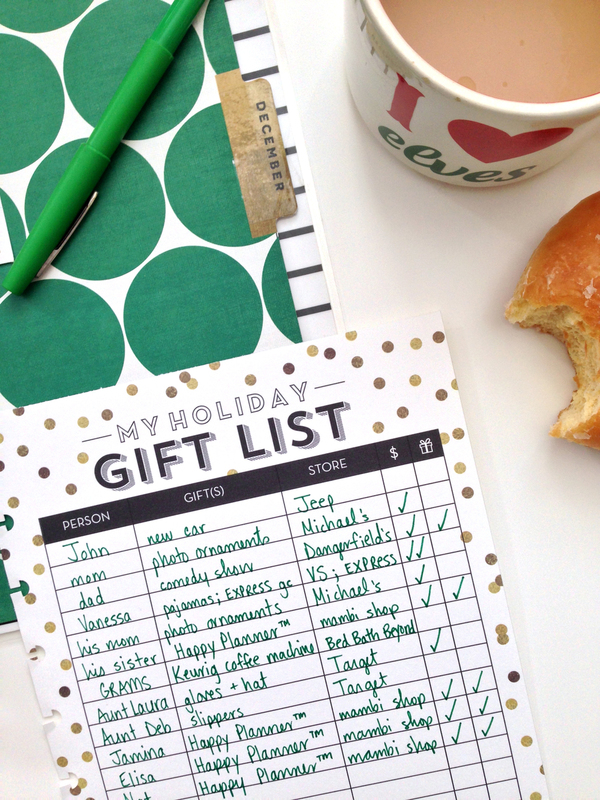 We're excited to share these two 'GIFT LIST' printable pages - made the perfect size to fit in your Happy Planner™. Now you can keep track of what you're going to gift to whom, where you need to go to get it, and check off when you've bought it ($ column) and wrapped it (gift icon in the last column). I printed these out on 8.5 x 11" cardstock paper. This made them an appropriate weight and thickness to hold on to the discs after punching, and cardstock is great to write on. Instagram, so we can see them in your Happy Planners™! 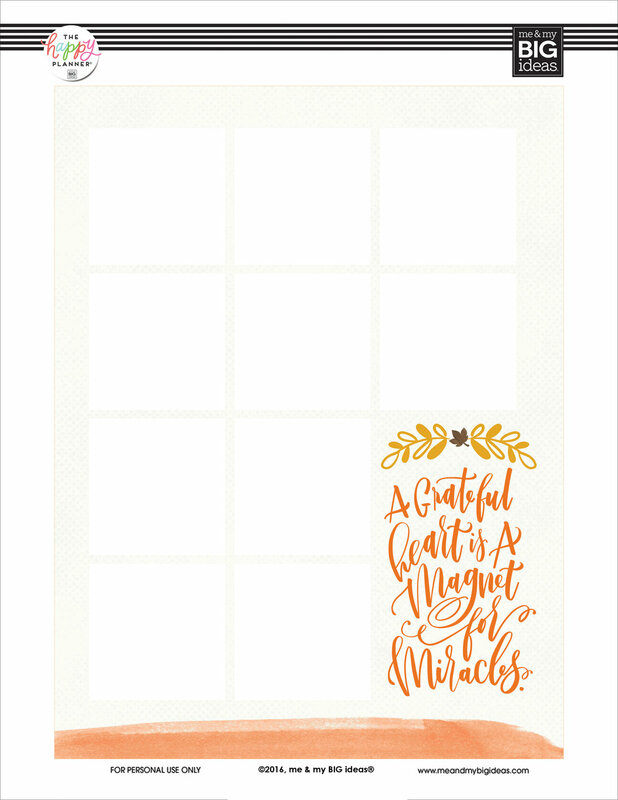 To kick off this new week and the first Monday of the month, we have made available a pair of new free printable pages created in response to the feedback we've been given from a bunch of you new & enthusiastic owners of your very own Happy Planner™ (yes, we read every Facebook message, Instagram comment, and e-mail). Many of you have asked that future generations of The Happy Planner™ include a perpetual calendar page, or a page that displays a yearly overview. 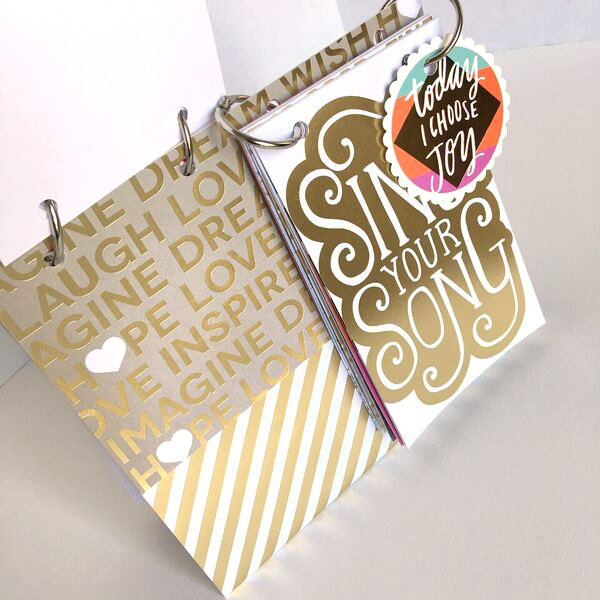 For now, we've designed a 'Year at a Glance' page for 2015 and for 2016 that are just the right size to fit amongst the other pages in your Happy Planner™. We suggest printing these out on white cardstock, because the thicker stock holds onto the discs better. (NOTE: in order to add these to your planner, you need to punch them and hook them on the discs; video on what punches work >>HERE<<) However, I printed them out on regular 8.5 x 11" printer paper, and then adhered them to a black & white striped mambiSHEETS paper I trimmed down to size. This way - my perpetual calendar was no longer blank on one side.